Inside the Games, the major source for sports news around the world top story for its Thursday Febr. 1 newsletter read, "Putin apologises to Russian athletes for failing to protect them during doping scandal". Could I possibly be reading correctly? Is one of the most powerful men in the world apologizing to athletes for seemingly doing wrong? Yes, he was! But why would he do such a thing? 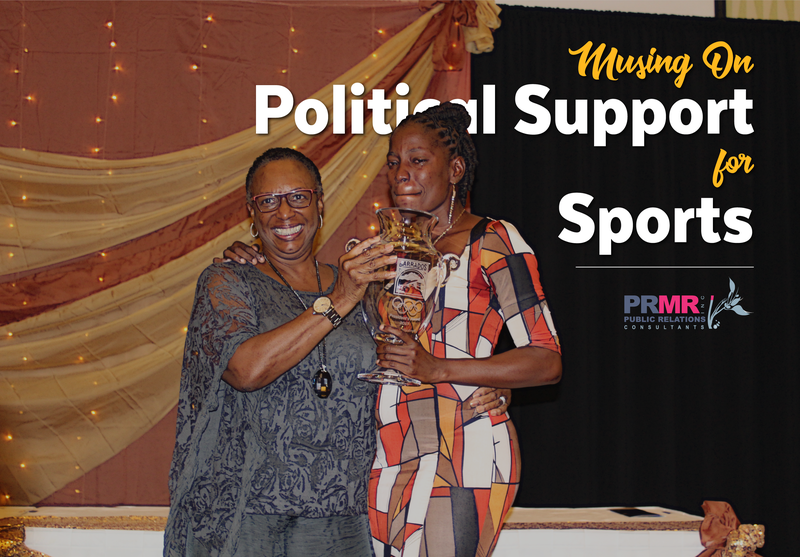 The fact is "sport and politics are inextricably intertwined and often work to demonstrate social, economic, or political supremacy over another nation. "This got me thinking about how far behind we are as a developing nation in sports, not just in infrastructure but philosophy as well. From the business sector, to government, to the general public, Barbadians believe the journey of an athlete is a solo one but, if somehow along the way he/she can rise above incredible odds and win an international medal that medal belongs to the country. World powers like Russia, China, and the U.S., give high priority to sport, investing billions but in Barbados, it is trivialized to the point where our facilities are run down, our athletes have to work other jobs to support themselves, and we quibble at the cost to send athletes and administrators abroad? Barbados ranked as high as 6th in the world in netball and all the countries above it have professional/semi-professional athletes playing for their countries. Someone once asked me when we were going to defeat Australia. For the record, most or all Australian players are professional athletes while the Barbadian team is made up of recreational players. Last year, when Barbados defeated Jamaica, the excuse given by the coach of Jamaica was that all of that country’s professional players were overseas on assignment. What does that tell you, Barbados is doing fantastic despite not having professionals netballers qualifying for world championships year after year. Picture what we could achieve with an investment in the players. I was very proud to witness netball captain, Latonia Blackman, receiving the President's Award at the Barbados Olympic Association Inc. (BOA) Awards in December. The insight of new President, Sandra Osborne to choose Blackman was lost on surface thinkers. The time, money, sacrifice and dedication over the years that Blackman would have spent makes her contribution to Barbados being among the top netball nations in the world immeasurable. Barbados is however very fortunate to have an organization like the BOA, which keeps making minute steps to better the situation. This week it announced that seven athletes will receive scholarships to help them prepare for the Tokyo 2020 Olympics. This is great, but the BOA, however, cannot do it alone. As Putin has demonstrated and other world leaders before him, sport has political, social and economic importance. It is time for Barbados to stop the tunnel vision and see the bigger picture.